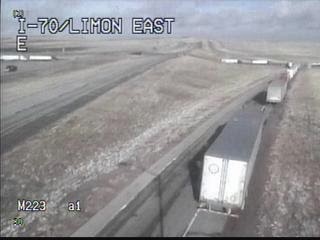 It appears that Hwy 71 is open north of Limon. Hwy 287 is still closed from Limon to the Oklahoma State line. As you can see, the intersection at MM 363 is congested. Please avoid the area if possible. US 287 Northbound / Southbound between Limon and the Oklahoma border (Milemarker 133-1) Closed due to adverse conditions. WB US 287/40 is open from Kit Carson to Limon. Road Closure began March 18th, 2014 at 12:10pm.